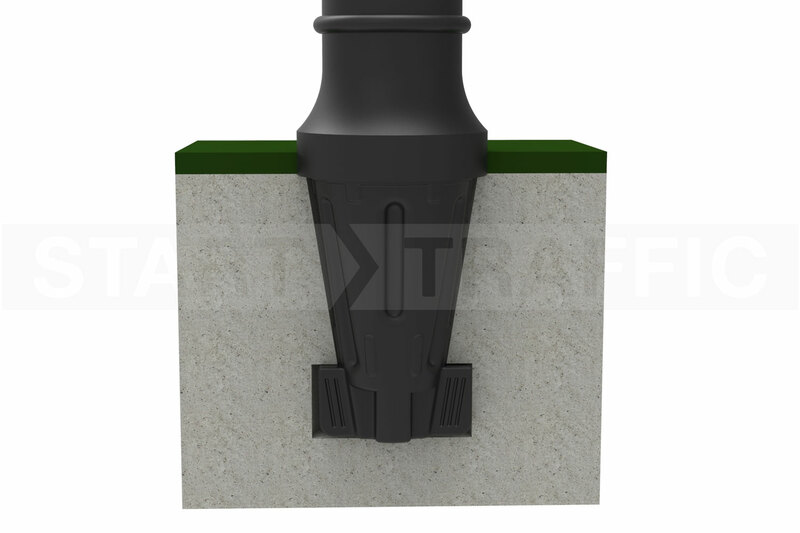 Munro Bollard | Multiple Fixing Types | Trade Prices! The Munro bollard is a modern design of bollard that looks great in white. It features an intricate ridged pattern above a wide reflective band. The Munro is designed for use around junctions or for reinforcing traffic calming schemes. 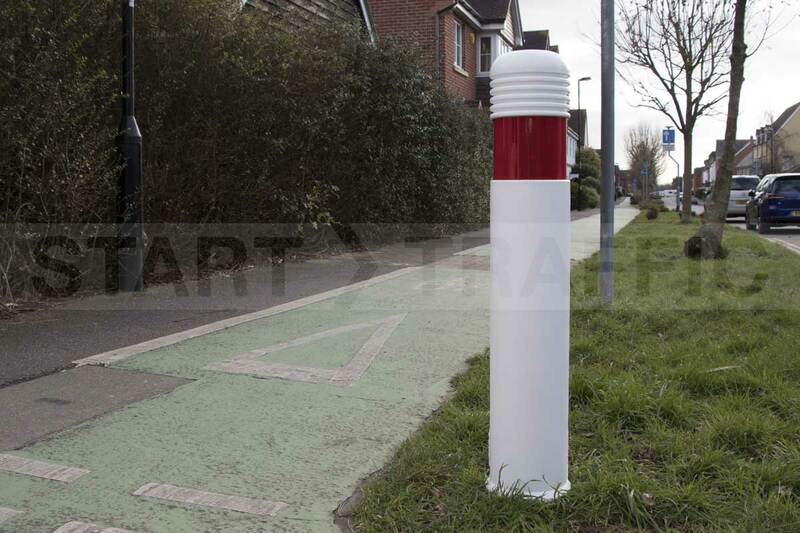 The Munro bollard is available to buy in a passive safety material (self-righting) or standard material. 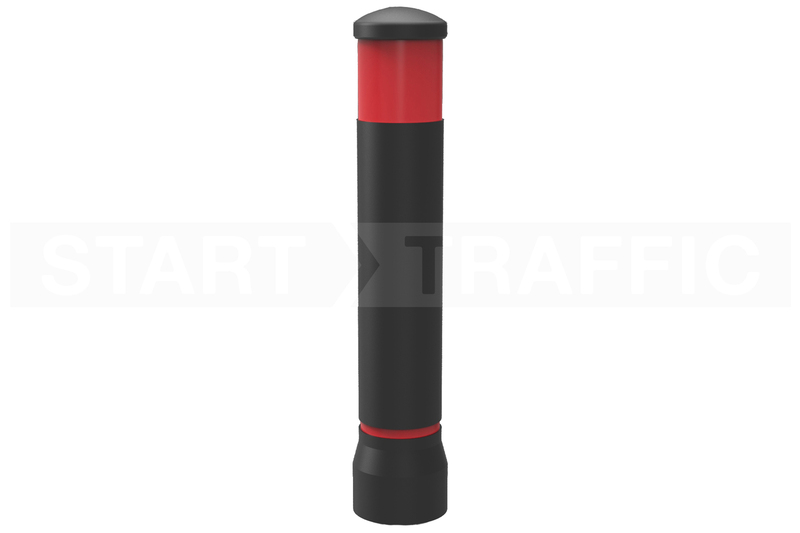 The Munro bollard improves safety for pedestrians by enforcing a physical barrier between pedestrians and vehicles. Available In Passive, Standard And Anti-Ram Variants. The Munro bollard is available in different materials to suit all needs. Passive - This material is flexible and will withstand multiple impacts. It will also stand back up if completely run over. Standard - These are cheaper, but will not stand back up if run down by a car. They will flex and take scuffs and bumps, perfect for stopping cars parking on verges. Anti-Ram - The anti-ram option is fitted with a tubular steel core, that does not flex. It will act as a physical barrier to vehicles attempting to ram shop frontages. 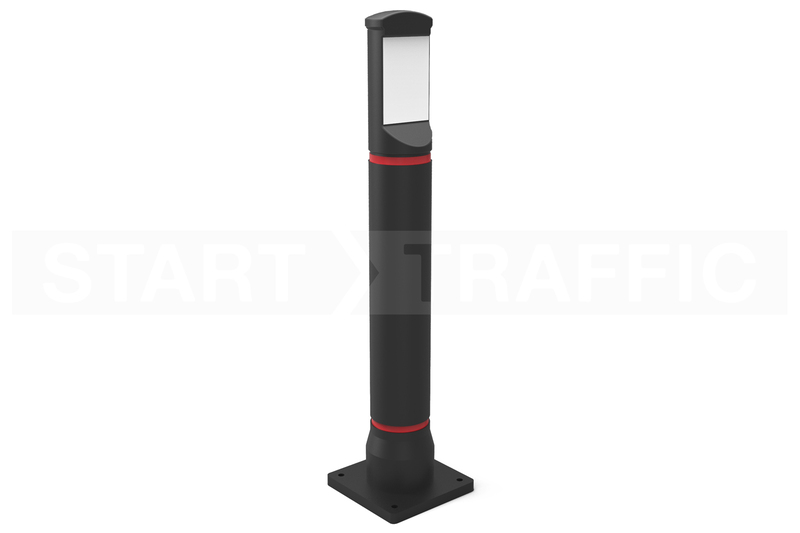 There are several options to choose from when buying a Munro Bollard, including different coloured post materials, reflective bands and fittings. A full breakdown of the options and their implications is available below. This option is purely aesthetic. The Munro is available in either White or Black. Your personal taste and preference will dictate which bollard you choose. The different fittings for the Munro bollard all have different applications. There are pros and cons to each type. 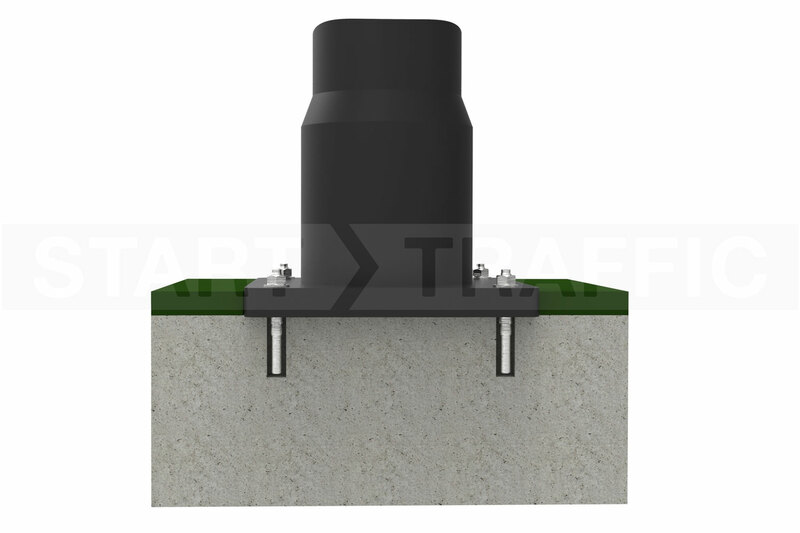 This is very simple to install on existing surfaces, requiring only four holes to be drilled. The bollard is then fixed to the ground with four fixing bolts. The root fixing is also very simple to install, and ideal for grass verges to prevent parking. You will need to excavate a small hole and cast the post into the ground. These are cast into the ground using an internal steel post to provide structural integrity. Use this option around shop fronts where vehicles MUST be stopped. Use the socket fixing where you would like to be able to remove the posts for routine access or events. The LockSafe socket requires the ground socket that is purchased separately. The LockSafe posts will fit into competitors products sockets (call for more information). You can choose which type of reflective banding that you require. 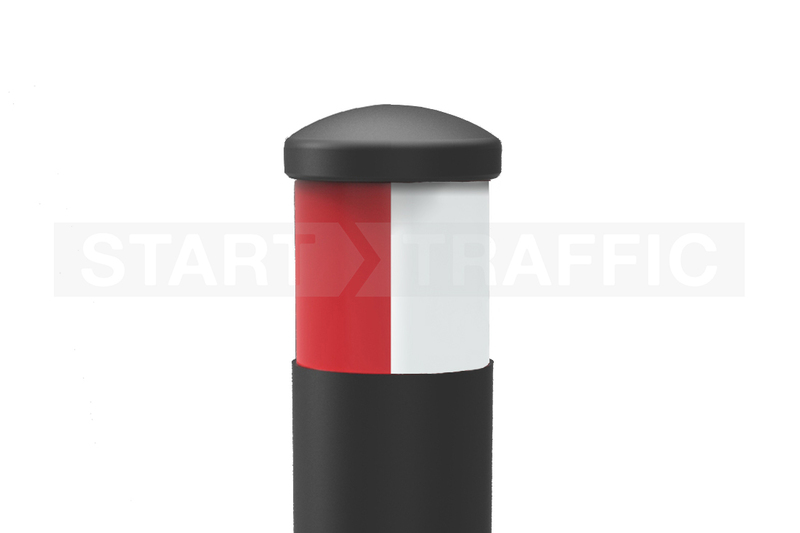 The Munro bollard has a single section for reflective material. If you select "none" there will be no banding applied. The Munro Bollard is part of the ST-CITY series of street bollards. Other models in the range can be seen below, ranging from more classic designs to modern. Our sales team are here to help with any questions you may have about the Munro or other bollards. Any questions regarding installation, pricing and delivery times can all be assisted with on 01905 794 875.